SOUTH London babes Inheaven are ready to release their long-awaited self titled debut album on September 1. To coincide with the announcement the four have also shared a new video for their recent track ‘Vultures’ which compiles footage from live sets. Produced by Tom Dalgety and recorded at Rockfield Studios, their debut is set to change the lives of teenagers across the globe. Kicking off with fan favourite Baby’s Alright influences from the likes of The Damned and The Ramones sneak in to a rabble-rousing melody. 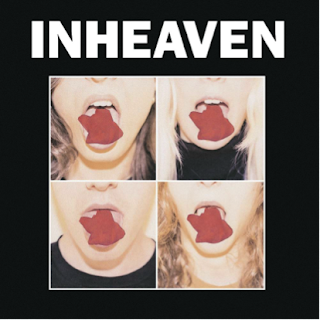 Inheaven was conceived when guitar/vox James Taylor bonded with bassist Chloe Littler over a shared love of bands who inspire young people. Recruiting neighbour Jake Lucas on lead guitar and Joe Lazarus on drums the line-up was complete and the four were ready to test out their creative compatibility. Things began to hot up for the band after the releases of their first official single ‘Regeneration’ on Julian Casablancas’ Cult Records label. Having already confirmed a variety of summer festivals which include the NME / BBC Radio 1 Stage at the Reading and Leeds Festival the band revealed their 16-date tour for the autumn.